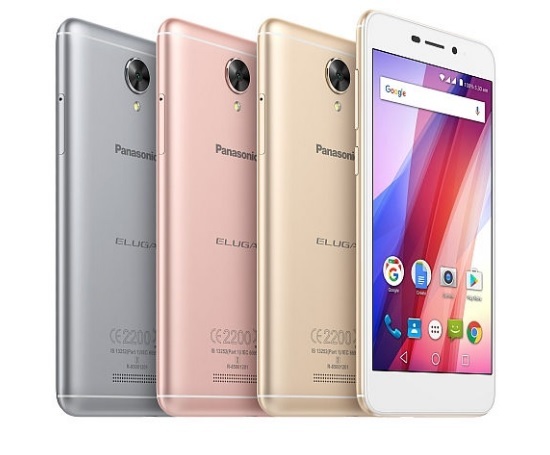 Panasonic has added a new smartphone to its budget lineup by launching an affordable smartphone, the Eluga I2 Activ. The handset is 4G VoLTE ready and comes in two RAM variants, one with 1GB RAM and another with 2GB RAM. The smartphone runs on Android 7.0 Nougat and driven by a 1.25GHz quad-core MediaTek MT6737 processor. It comes with a 5-inch HD (720×1280 pixels) IPS display, sports an 8-megapixel autofocus rear camera with LED flash, while also houses a 5-megapixel front-facing camera. The onboard storage in the Panasonic Eluga I2 Activ is 16GB, but it can be further expanded via microSD card (up to 128GB). It has dual-SIM compatibility offers connectivity options like Wi-Fi 802.11 b/g/n, Bluetooth v4.0, GPS/ A-GPS, and Micro-USB 2.0. There is a 2200mAh battery in the handset and it also packs accelerometer, ambient light sensor, and proximity sensor. The 1GB RAM variant of Eluga I2 Activ is priced at Rs. 7,190, while the 2GB RAM model is priced at Rs. 7,990. Both versions will be available in Gold, Rose Gold, and Grey color options.